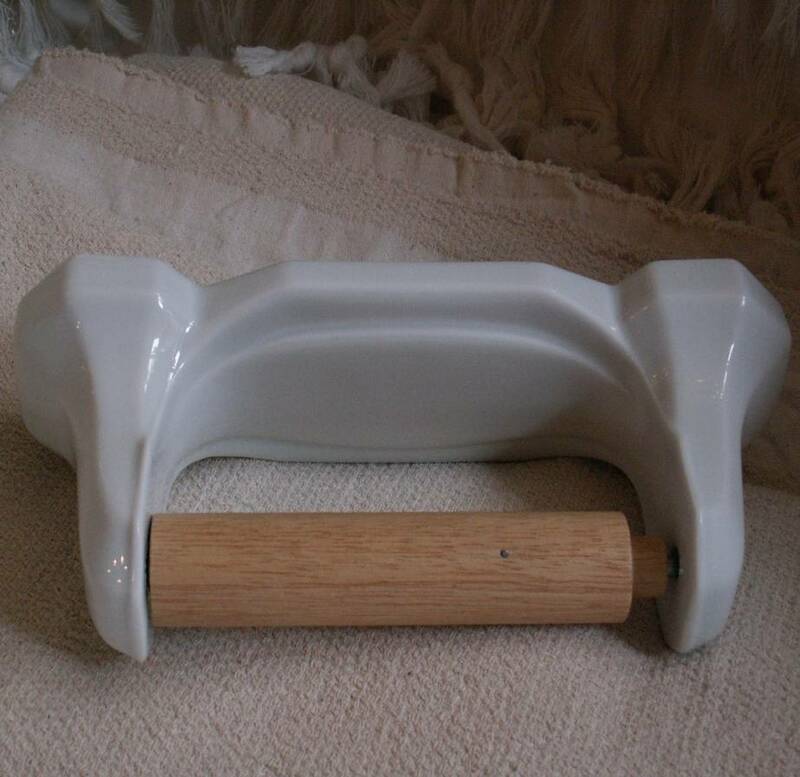 Porcelain toilet roll holder, styled after the porcelain models that came into fashion in the twenties. Good replica of an antique paper holder that has become very rare. Porcelain toilet roll holder, styled after the porcelain models that came into fashion in the twenties. Good replica of an antique paper holder that has become very rare to find. It's very easy to change the paper roles. This item can be combined with the porcelain toilet brush holder from the same series.